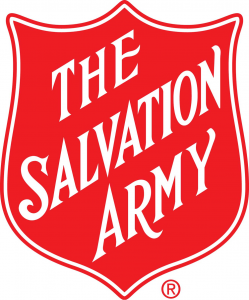 After being driven out of the thrift store business by the 2010 Nashville flood, The Salvation Army Family Store returned to the area in late 2015. Although the new location had been open for nearly a year, it wasn’t gaining the traction within the community or the foot traffic they needed to maintain the store. Until, that is, they turned to Westwood Avenue for a Grand Reopening campaign. The results were phenomenal. More than 1000 people came in on the day of the reopening and the store enjoyed more sales in one day than they had seen in any month prior to the campaign’s launch. Big, bold, and playful, our outdoor advertising campaign caught the eye of Gallatin Avenue commuters and led them to the Family Store’s doors. 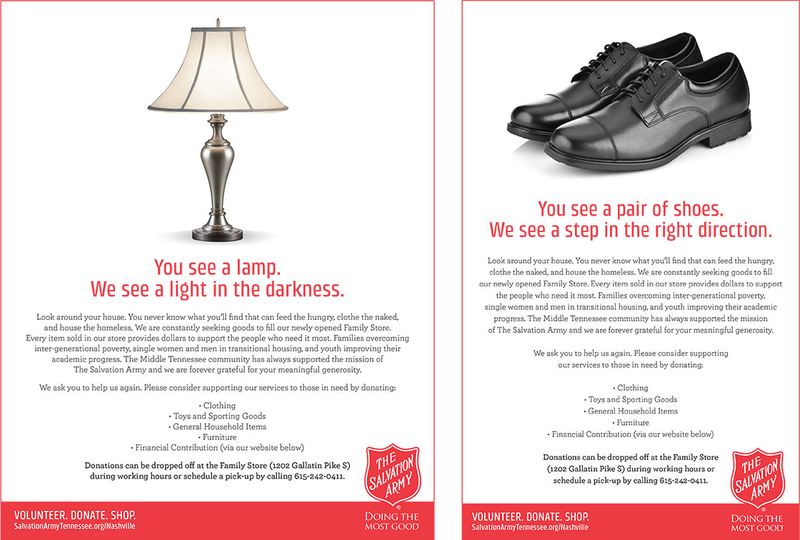 Fun and inspirational, the Westwood-designed print ads convey the mission and values of The Salvation Army while encouraging folks to donate gently used items to the store.